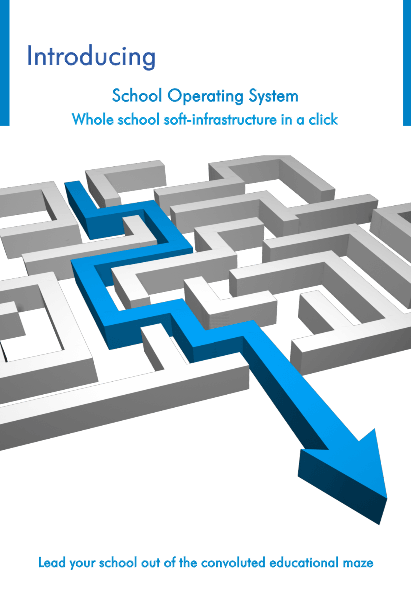 IYCWorld, founded in 2001, pioneered technology-led 'Whole School Transformation' (WST) in 2003. The genesis of WST is the acknowledgement that education - the most knowledge intensive of all human endeavours - will witness the most disruptive change due to the Knowledge Infrastructure - the Internet. Our services help schools re-engineer their critical processes and resources in the context of the contemporary societal needs, imperatives, trends etc. In other words, we are a world-leading educational technology organization, galvanizing the transition of the current (industrial society) schools to knowledge society schools. IYCWorld is a showcase of a knowledge corp - a showcase of the power of 'Idea Capital' over the 'Monetary Capital'. A debt-free, 100% entrepreneur-owned company, IYCWorld has a unique world-view of the application of the emerging ICT for the social infrastructure transformation, and the same has been overwhelmingly attested on ground – in schools in India and increasingly in schools across the world. We brought the ASP-model with 'cloud computing', to education in 2002, a lead of almost five years over the competition, globally. We offer customized as well as standard implementation of automation of SCHOOL’S administrative and learning processes (Online ERP), digital content for teachers for classrooms, innovative self-tutoring and diagnostic portal for access at home for students and parents, inter-school and school society administrative and exchange platform, Mobile Apps for extensive school-parent engagement and ongoing handholding of teachers on an integrated, dynamic, self-controlled and future scalable software backbone. IYC has promoted unique concept based teaching-learning methodology, developed and published concept based text books for Math and Science, drastically enhancing conceptual clarity of the students independent of the quality of the teachers (a real challenge faced by schools). IYC offers capacity building workshops for school promoters, Principals and teachers to prepare them to take up leadership positions and spearhead the transition of traditional schools to contemporary new age knowledge society schools and prepare their students for taking the challenges at global stage. IYCWorld has a Vision of Internet-based education as the driver of Social Infrastructure Transformation across the globe .We envision the current schooling system evolving into knowledge society schools as places of exchange and collaboration between students. Our Mission is to be the vanguard of Education-led Social Infrastructure Transformation, globally, as well as the global leader in creating knowledge society schools in the developing world and be among the three leaders in the developed world by 2020.